root n. 1 Part of a plant that provides support, draws water and nourishment, and stores food. 2 Source of action. 3 An essential part. 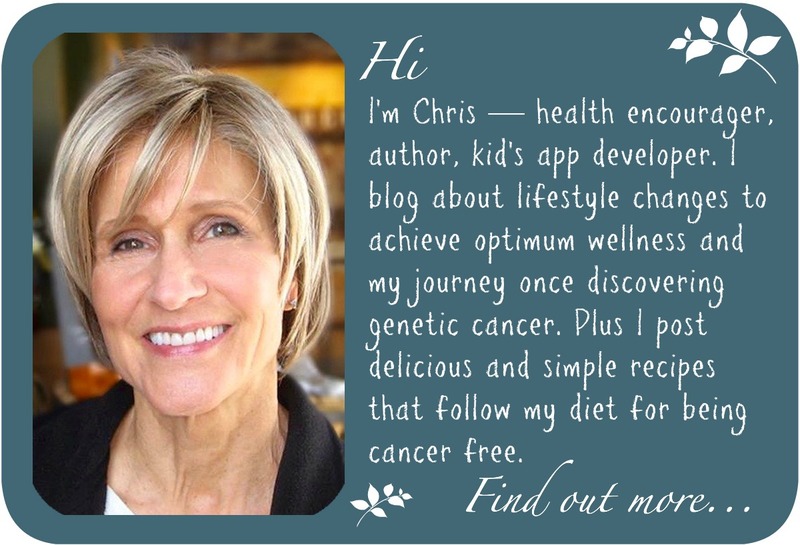 Let's review what I've addressed in separate blog posts about how to achieve optimum wellness. I believe there are four essential parts to being healthy. I call them roots. If you make healthy choices in each root area, you will achieve optimum wellness—feeling supported, watered, nourished and full of energy. 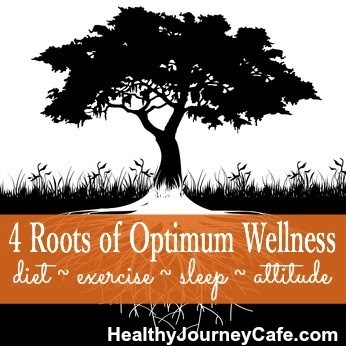 The four roots of optimum wellness are diet, exercise, sleep and attitude. It is not a coincidence that disease is on the increase at the same time our diets consist of more artificial and sugar-ladden ingredients, meats and dairy laced with antibiotics and hormones. 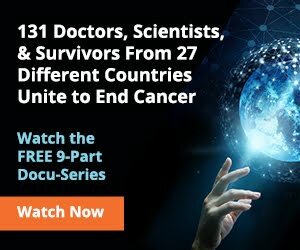 Cancer has now become the number one killer. And, its a big money maker for the health and pharmaceutical industries. The way to get healthy and stay healthy comes down to diet. I know there are plenty of things in the environment that are cancer-causing that we can't control, but diet is a big thing that we can. I hear people say, "I can't help it, I have bad genes. Uncle Harry, my sister and both my mom and dad had cancer." Well... change what you eat and you can change your genetics. Yes you can! You can turn on the genes that protect you from cancer and shut down those that cause cancer. So stop putting junk in your body and eat more veggies. Keep it simple. I know, we all love to hate exercise. Well... not everyone. Some people just plain love it! I exercise (not really loving it) because it gives me more energy and makes me feel good. The benefits of exercise are numerous—here are just seven. Exercise can be fun! Regular exercise at something we may not like can be a bonus when we do something requiring energy. For example, my husband and I went to Yosemite National Park for a day and took our bikes. In spite of the traffic gridlock, we rode around the valley on our bikes to see the spectacular waterfalls. Because we're fit, it was not a strenuous endeavor. We enjoyed the ride and never suffered any soreness. Well... maybe a little in the behind...TMI. Plus, we chocked up an extra day of exercise if anybody's counting. Sure beats driving in circles and trying to view waterfalls through the sunroof. Sleep is a very important part of a healthy life. In our fast-paced life, downing mochas and red bulls to stay alert is the norm. Energy drinks are used to prop us up instead of getting good sleep. Our bodies need sleep to regenerate—its a natural and essential part of being healthy. Researchers say lack of sleep can double the risk of cardiovascular disease, but so can too much sleep. A significant shortage of sleep can cause mental, emotional and physical fatigue. It diminishes a person's ability to perform high-level cognitive functions and leads to many deaths from accidents. If getting to sleep is a problem than try these tips for preparing yourself for sleep. Many people who have/had cancer can point to a stressful time previous to their cancer diagnosis. Yes, stress can fuel cancer and other unhealthy conditions. Its all about how we react to the stress and, believe me, its not easy. Stress has been an ever present situation in our lives these last few years—not just because of my continual vigil to maintain a plant-rich diet to avoid the genetic condition looming over me, but the economy has not been kind to us. My most recent colonoscopy showed more affects of that stress—13 benign polyps. I'l rest on the word benign. I am blessed that my hubby is my best friend and we talk often about what stresses us. It provides a healthy way to get it out and let it go. He also dispenses some sweet empathy, hugs and understanding. I, of course, reciprocate. All really healthy in perking up attitude. Its important to talk out your stress with someone who will support you unconditionally—be it a spouse, friend or a therapist. Besides processing or talking out your stuff with a trusted person here are six tips to keep your attitude healthy. Diet, exercise, sleep and attitude. As you begin to get your diet adjusted to healthier eating, you'll find you have the energy to exercise, you sleep better and your attitude improves. Funny how that works. 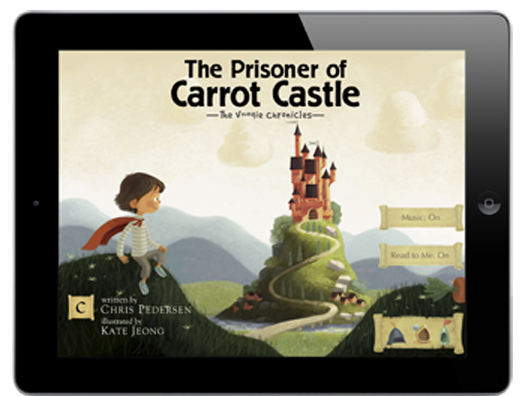 What challenges do you face to the roots of optimum wellness? Scroll down and leave a comment.